Made for a rural courthouse in northern Wisconsin about 1900, this country pine map or document chest has 7 drawers. 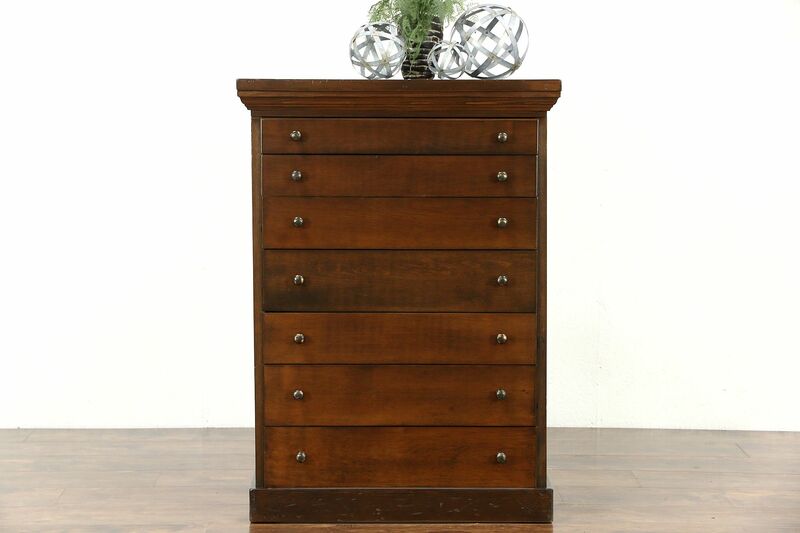 Coppery knobs are original on this American made antique office furniture. The restored finish is in excellent condition, preserving just enough mars for a little character. Size is 31" wide, 22" deep and 43" tall.